Start off an exciting new year with the first workshop at my studio: “Encaustic Painting” on Saturday January 27, 2018, 10 am to 4 pm for $145. 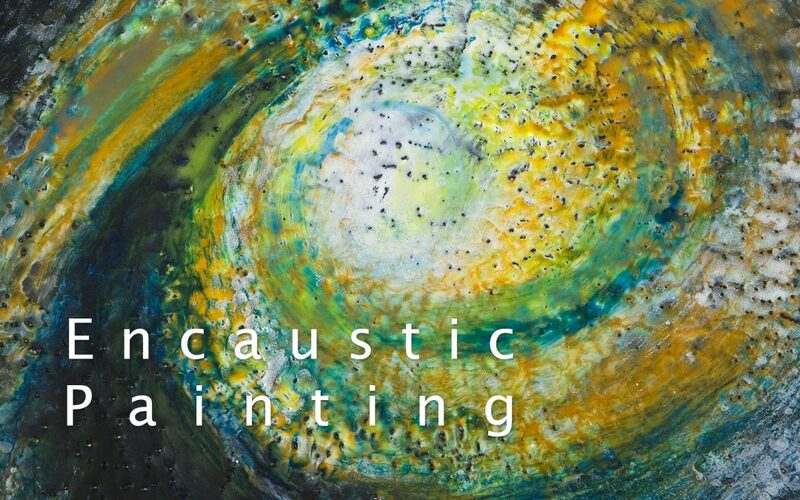 If you are new to encaustic and have thought about trying it to see how it fits into your creative offerings, this is the workshop for you. Even if you’ve had some experience, but haven’t been working with it for awhile, this could be a great time to “brush up” on the basics of this lovely medium. Visit Encaustic-Painting.eventbrite.com for more information and to register. We will cover the basics: what’s needed in a typical setup, the materials, some safety considerations, and then move into painting on panels—using a limited palette of colors as a starting point. Painting will be the focus of this workshop, but near the end of the day we will look at some of the additional, mixed media techniques that can be done with hot wax. Demonstrations, some group discussion, as well as individual work time and one-on-one time with the instructor will fill out the day. As always, the equipment and most materials are provided. We will be working abstractly, so if you are a more realistic artist, do bring along some reference images to use as a guide in painting. Space is limited, so register soon. Give yourself the gift of a creative workshop to start out your new year!